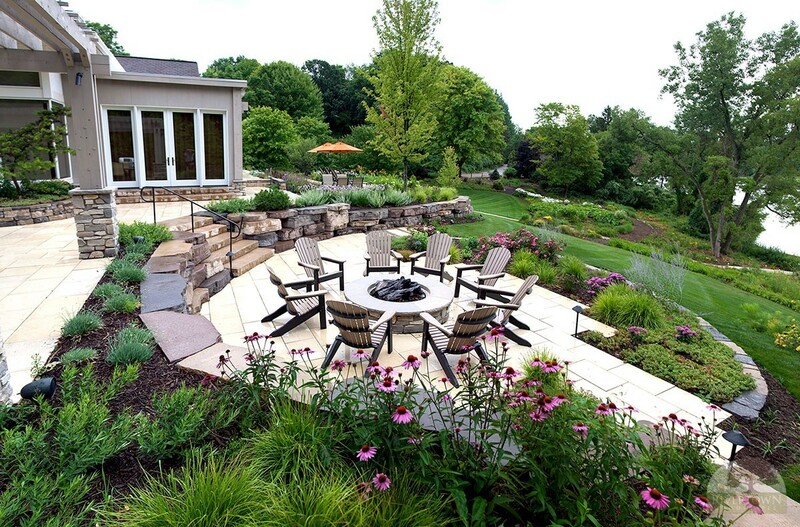 Since 2003, Rivertown Landscapes has been creating award winning landscape designs for our clients in West Michigan. As a professional design build firm, we take a thoughtful, well crafted approach to installing your landscape. With the added benefit of having a landscape architect on staff, your custom landscape will become an exceptional living space. Gardens are treated as an essential component, complementing the home, rather than being a separate entity. At Rivertown Landscapes, our design philosophy is simple; it all starts with your wants and desires. Beyond looks alone, your landscape should be designed to fit your unique personality and lifestyle. Our collaborative approach to landscape design truly sets us apart from others and leads to genuinely unique designs for living. As we like to say, “Extraordinary Design is in our Nature”. Mike, Thank you for an EXCELLENT job! – Darryl & Sarah E.
Mike, I just wanted to drop you a note to tell you how happy I am with the stone wall you put up by the lake. The workers worked very neat and cleanup up very good after the job. Thanks! Gorgeous work from all of you!! Thank you again. – Mary & Tony R.
Thanks Mike, Everything looks so nice and everyday something new flowers. We are very pleased. Thank you so much for our beautiful new blue stone patio! We have really enjoyed it already and will do so for years. Your design, plantings, and crew were all amazing, fast, and efficient. Everyone was friendly, knowledgeable, and professional.